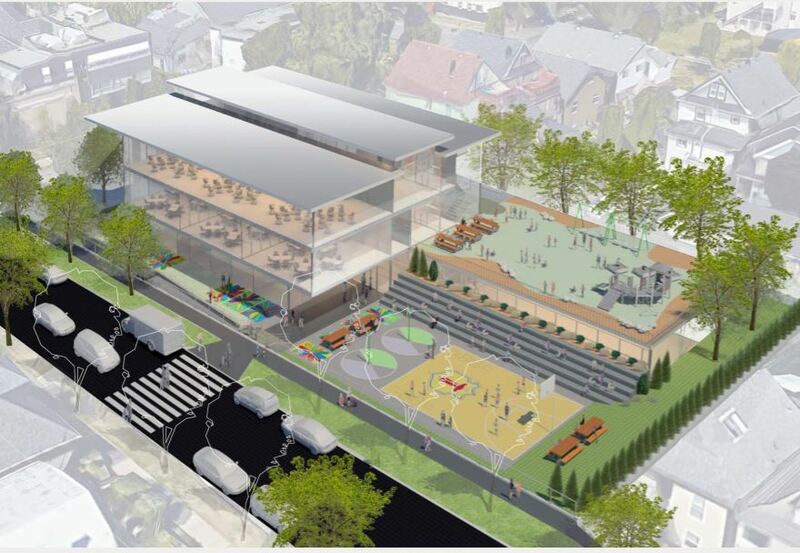 In February, I reported on a public meeting regarding the proposed development of a new parochial school for our local St. Francis of Assisi church to be built on the Wilga gardens behind the current house at Napier and Semlin. As you can read from the report, there was much criticism of the plan from those in the immediate neighbourhood. Today I learn from a notice sent by the church that the original proposal has probably been abandoned. 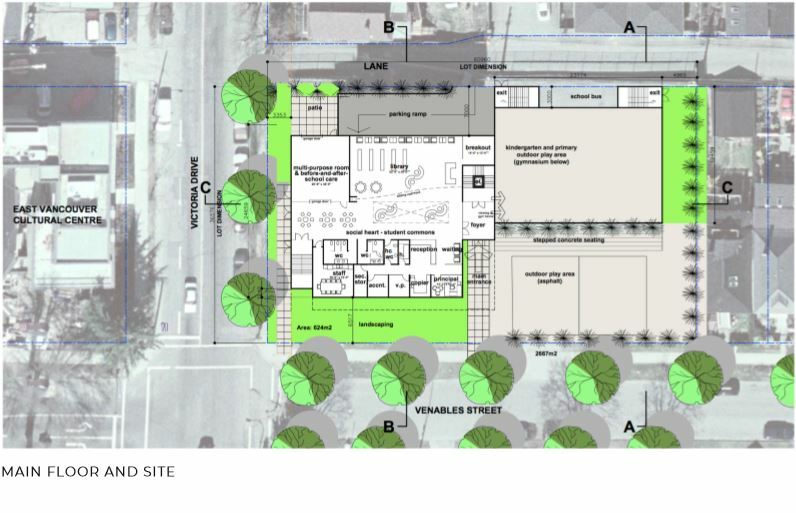 They will now plan to redevelop the current school site at Venables and Victoria. There are, they “barriers to building on the current site” but they will work through them before making their next proposal to the City. I understand City planners were not too keen on disrupting the traffic-calmed neighbourhood around the church with a new school, but the pressure from the residents seems to have played a significant role in the change of heart by church authorities. This evening I attended the meeting held in the basement of the St. Francis church at Napier and Semlin. 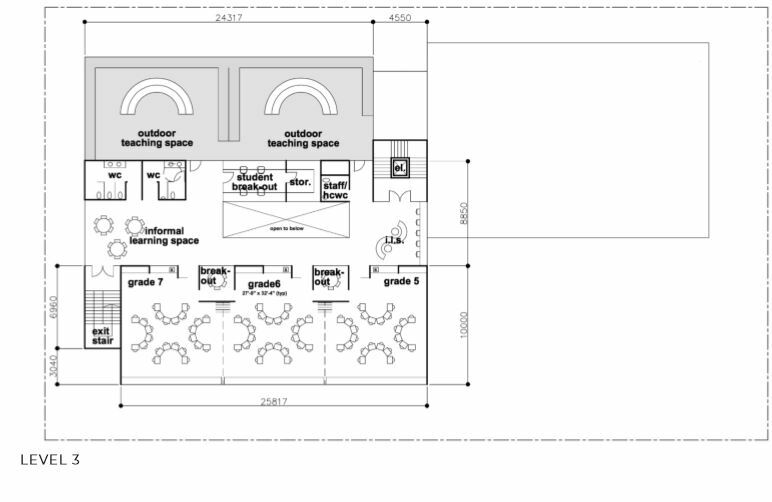 Earlier discussions about the church’s desire to build a new school can be found here. The meeting was to introduce the project to the immediate neighbours of the church. However, the meeting was well known to GWAC members, people who read this blog, and others, so there were perhaps one hundred citizens in the room from a wider range than the limited geographic area expected. I thought that was a good thing. they want to bring the children closer to the church as a matter of strengthening the faith and increasing community (my words, but I think I got it right). that a rezoning will be required for the size of the proposed structure. I found the meeting to be a good start to the process. It was the kind of meeting that Boffo/Kettle should have had but never did. I’m sure neither “side” came away completely satisfied with what was said and done but at least the conversation has begun and is out in the open. By encouraging on-going dialogue, SFA has a wonderful opportunity to teach developers how this process can be improved. creative effort is put into the traffic issues. Wilga gardens are not publicly accessible in the sense of being a park; having publicly accessible green space at St. John’s would be a good replacement and better than we have today. I have reservations about the heritage value of St. John’s. I believe the traffic issues are solvable given creativity and good will on both sides. I would be happy to see density in the form of, say, a three- or four-storey apartment building at Victoria and Venables; that would be a significantly useful addition to the community’s housing stock. It was interesting to hear the opposition speakers tonight and I appreciate some of their concerns. However, I think the wider community can benefit from this proposal and so it has to be given consideration even if it disturbs a few time-honoured routines that have become entitlements for some. At last night’s well-attended monthly meeting of the Grandview Woodland Area Council (GWAC) the sole item on the agenda was a presentation by a group of neighbours opposed to some parts of a plan to expand the private St Francis of Assisi School. The St. Francis of Assisi church (SFA) has been an important component of Grandview’s community since Franciscan monks took over J.J. Miller’s grand mansion and gardens at Napier and Semlin in the 1920s. Michael Kluckner has written a good piece on their history, and the GHG site has some interesting images of the house here and here. For many years, SFA has run a private school at the northeast corner of Victoria and Venables. It educates 220 students in ramshackle premises without a real playground or gym. It was reported that SFA spends up to $100,000 a year bussing the kids between the school and the church grounds where they can exercise. 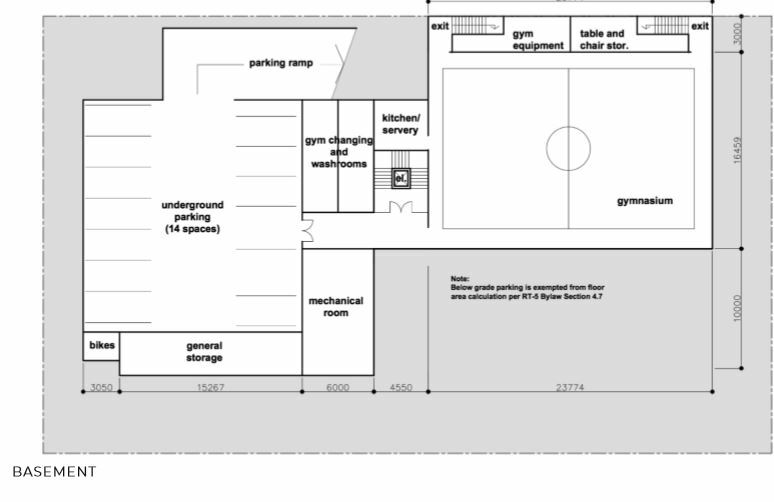 SFA now have a plan (not the first time) to expand their school and provide better facilities for their students. Their website suggests two options, of which the first is their preference: (1) sell off their property where the school currently is, and use the money to build a new school on the Wilga Gardens part of the church property on Napier; I believe this also involves demolishing their St John of Shanghai property across the street from SFA and turning that into a playground (possibly open to the public after school hours). The second and less preferred option is to sell the St John property and use the money (plus additional fundraising) to rebuild the school on Victoria. Beyond the options laid out on their website, little is known about the project. It is understood they have engaged designers, and have sent a Letter of Inquiry to CoV Planning. 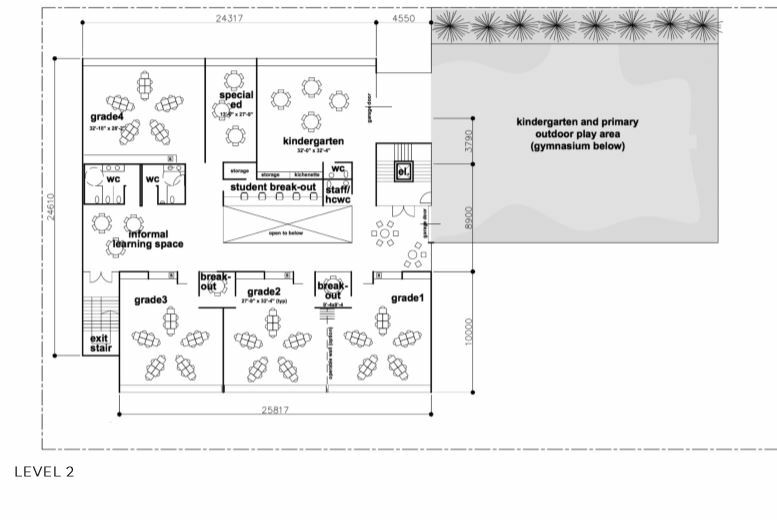 Father Gino has also been heard to suggest that the new school, if built at Wilga, will be “no higher” than the church — so, about 40-45′ in height. I misunderstood the purpose of the meeting last night, believing we would have a presentation by SFA which would likely turn into a Q & A session with both opponents and proponents. I was mistaken: this was all about the opposition to building on the Gardens, and I have to say that I am disappointed that SFA were not invited to share the stage and give their point of view. The neighbours were well prepared, have educated themselves on various planning topics, and gave a good account of themselves and their desire to see the school rebuilt on Victoria. I was a lot less impressed by their desire to maintain the luxury of having the Gardens near them (which reeks of the dreaded N word) than I was by their understanding of the traffic issues that re-siting the school in a residential and traffic-calmed area would entail. During the Q&A session that followed their presentation it was suggested the neighbours simply ask Father Gino for a copy of the Letter of Inquiry (which will give a great deal more data on what they want). It is a private document and he may refuse, but the assumption is they will want community approval and may be willing to open up at this early stage. It was also suggested they make their opposition known to the higher echelons of the archbishopric, and to start a major social media campaign. All in all it was a useful meeting. However, I have to repeat that I am disappointed SFA — who are an important and vibrant part of our community — was not given the opportunity to state their position. The neighbours sought GWAC’s support for their opposition; however it was clearly too early for that without a lot more information. You are currently browsing the archives for the SFA category.